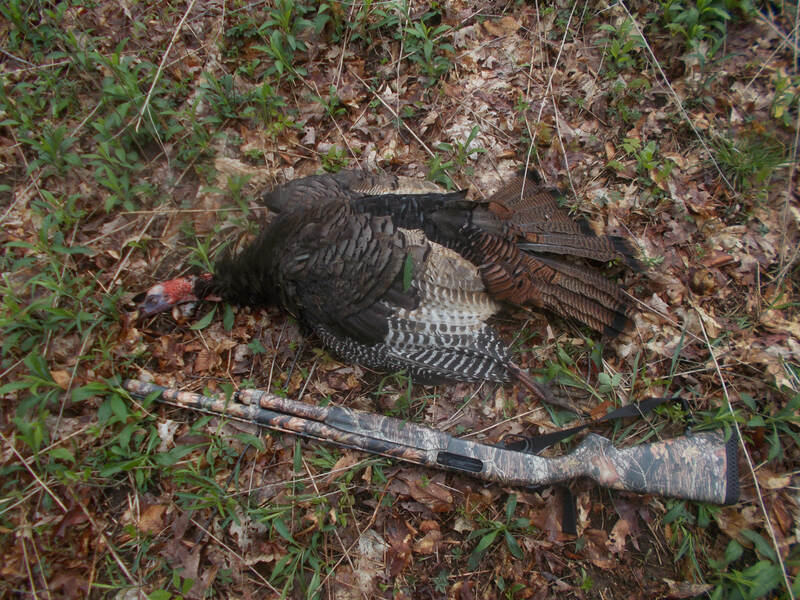 I have been getting up at 3:30 for many days since the Maryland turkey season opened. Many of those days have been on private ground at Keyser's Ridge in Garrett County. The birds up there have been very tough to hunt. Most days I've hunted I did not hear a single gobble. A few days they were very vocal but would not come into a call. They have been very stubborn turkeys to hunt. That's all part of the turkey hunting experience but it can be frustrating as well. I went up this morning with a plan but for unforseen circumstances did not start the hunt where I originally planned, I did hoever, hear them gobbling where I thought they might be. I tried to call them but there was no response. I decided to take a walk where they were and develop a plan for the rest of the week. As I was taking a GPS locating point, I noticed a turkey walking in some tall grass above me. He of course saw me as well and disappeared. But I decided that I would set up the decoys and sit and call for awhile. I began to call using the Batman call from Perfection Turkey Calls. Within thirty minutes, without any sound, here comes two Jakes (young gobblers) and two mature gobblers in strut with their tail feathers all fanned out. I called when I saw them and they gobbled back but would not come into the decoy. The Jakes however did. The Jakes began to move towards me and started looking a bit nervous like they were about to leave and scare the mature toms with them. I decided to take the shot and down he went! Another turkey down! 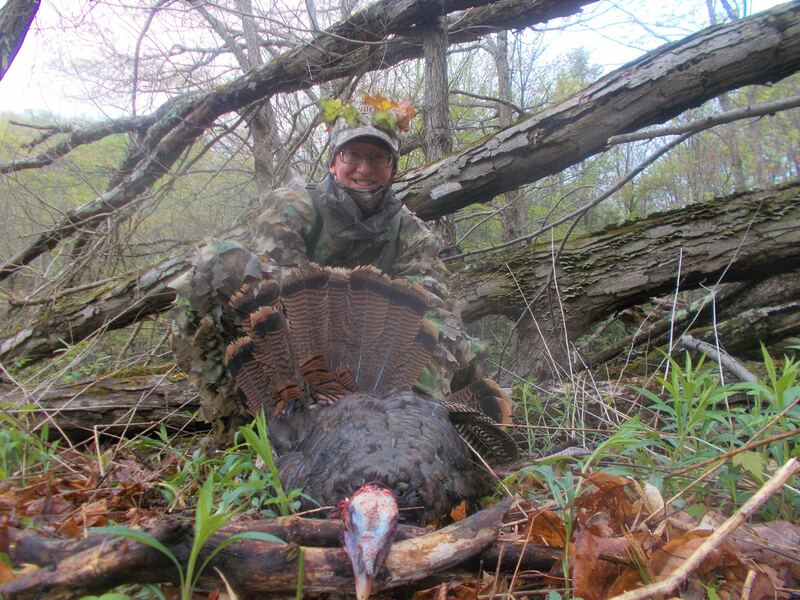 I was relieved as I finally took a Keyer's Ridge turkey! I'm already getting my recipe ready for the croc pot! I once again want to thank the Lord for HIs favor on my life today. What started out like a broken hunt actually came together for another successful hunt! God sure is good! But just so you know, even if I don't get a gobbler, God is still good! He blesses our lives daily with things we don't deserve but His mercy and grace is indeed over whelming! Overwhelming indeed - congrats BC - well done again! Great story and great looking Tom , congrats on both . Congrats Bear things don't always go according to plan but they work out. Congrats BC, that's the way to do it! I have to admit, I don't like to have to get up that early for turkey hunting, especially if you do it three or four days in a row. However, when you see the bird take a dirt nap, all the discomfort is forgotten. Congrats on another nice bird! Awesome, Congrats again on another fine bird! !